DriveThruRPG has a huge Pathfinder sale going on this week, so we’re gonna celebrate it with a Pathways to Adventure Week. 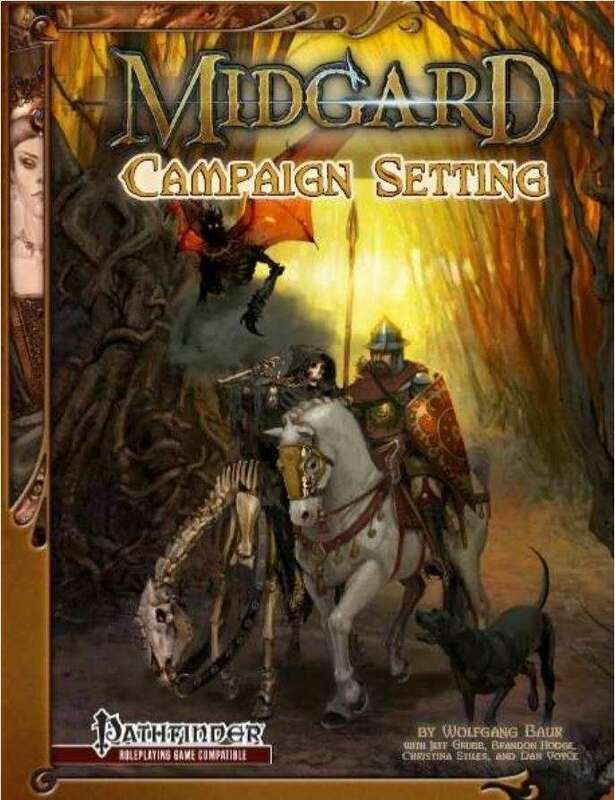 Midgard is one of the most popular settings outside of anything Paizo is doing, and this amazing bundle – valued at over $100 – is everything you need to dive into a fully-realized, rich campaign. Yes, a new version of Pathfinder is coming, and that goes a long way towards explaining why a huge sale is underway on stuff designed for the existing iteration. However, you can bet all this stuff will be easily converted to the new version, and I suspect a lot of you will simply stick with the game you know and love, anyway. IMPORTANT EDIT – The bundle got shut down faster than I expected, so it’s no longer available. The link is now to the Midgard section of Kobold Press, where all the items within are found. Sorry about that. Midgard brings to life a world of dark fantasy drawn from the great European traditions. You’ll find ley lines and deep magic; the Western Waste’s giant, shambling horrors and magic-blasted landscapes; and the schemes of immortal Baba Yaga. In this bundle, get five of the bestselling Midgard books published for PFRPG.